The Sacral follows at the bottom of the spine and is five vertebras fused together into one and then the spine ends with the Cocyx (tailbone). What does Hip or Knee Pain Signify? On occasion, I will have the client who complains of hip and/or knee pain. Being a massage therapist, my first impulse is to check the client for physiological imbalances in the hip, sacrum, spine, etc. On a physical level, there is a lot that massage can do to release muscle tightness, if that is the cause of the pain. Using tuning forks in all of these areas will ease the physical pain too and restore blood flow to these areas. But what about emotional pain? If we look at the book by Louise Hay titled, ‘You Can Heal Your Life,’ we can see that Louise connects hip problems to fear. Fear of moving forward in making a major decision in one’s life or fear that there is nothing to move forward to. For knee pain, Louise states that it is the inability to be flexible (maybe even stubborn) in the face of ego and pride. Hay offers some very nice new thought patterns that the client can recite to themselves every day to help them over the ‘hump’ of their pain. While I am working on my client, I will have them repeat these phrases to themselves. I have found great success in this type of positive reinforcement. 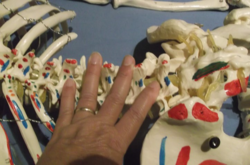 Locate the vertebras on yourself, or your partner. 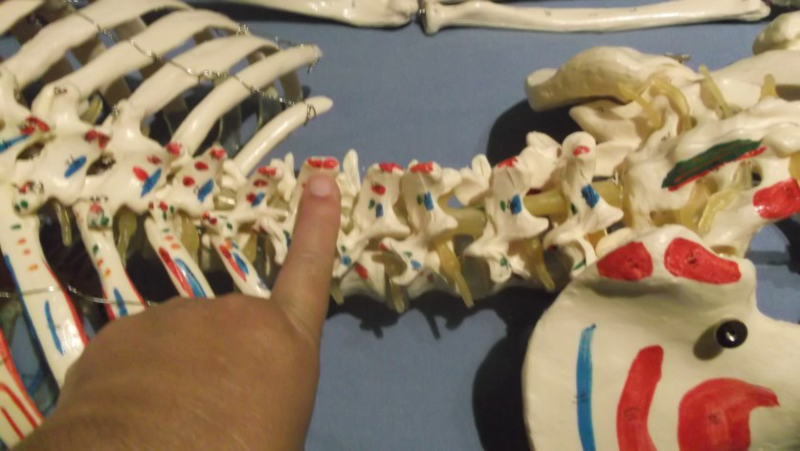 There are two bony structures to help you locate some of the points on the spine. Have your partner lie face down on a massage table or floor. 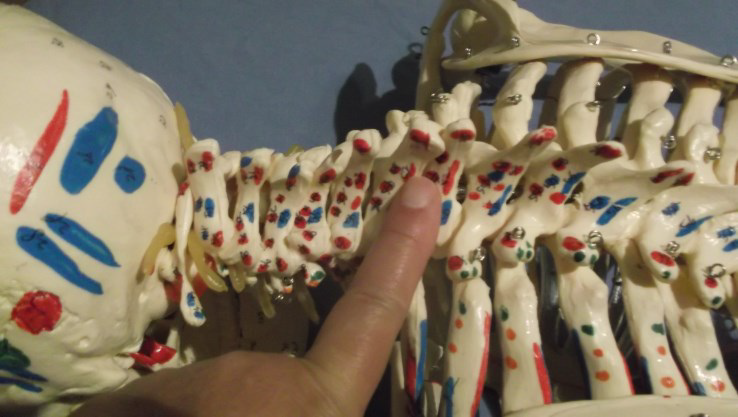 The first bony structure you should be able to locate is the C7. It is found at the base of the neck and usually sticks up as shown below. 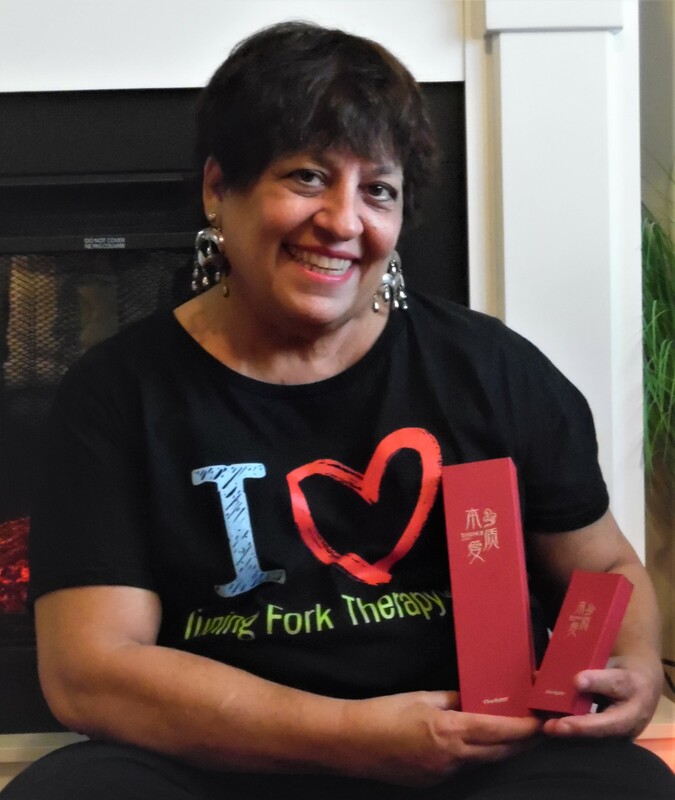 All certified Tuning Fork Therapy® Practitioners are now able to obtain professional liability insurance with Beauty & Bodywork Insurance. It is the same professional liability insurance coverage that I currently carry as a licensed massage therapist, Reiki practitioner, personal trainer, and Tuning Fork Therapy® practitioner. You too can qualify-as long as you don’t need additional licensing in your state to practice sound and vibrational healing modalities. For more information, visit the company online at www.InsuraedBodywork.com. Insurance starts as low as $96. You can also call them at 1-877-536-7290. The next bony structure is at the bottom of the Thoracic vertebras at T12 and the beginning of the L1. This can be found just below the bra line on females. Clare Sham from China has developed her own special incense formula called, “Essence Love.” All profits from the sale of this incense will go to support nunneries in the Himalaya. To date, Clare has helped to sponsor 4 nunneries in Nepal. The incense comes in a beautiful and sturdy magnetic red box with Chinese inscription on the front. The large box costs $25 and the smaller box costs $13. 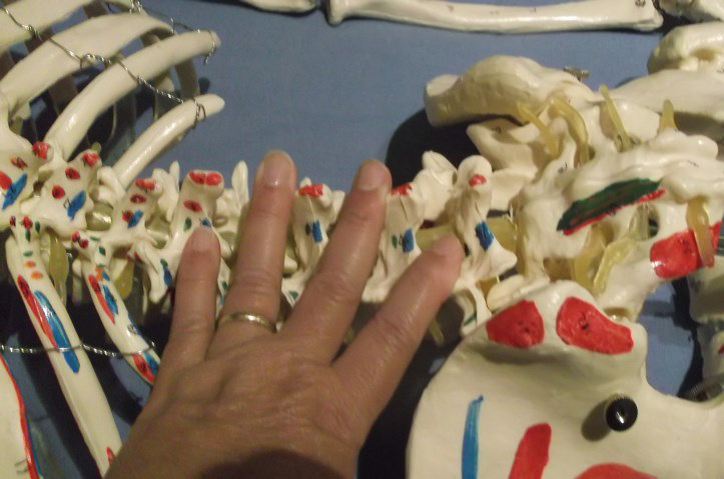 The Lumbar vertebras are the largest bones and most easily to feel (palpitate) with your fingers. Locate the Lumbar spine below.